The Green Party is courting an interesting potential candidate for the Ilam seat in 2008. He is Dr Kennedy Graham, since 2005, a researcher at Canterbury University's law faculty. Kennedy Graham is the younger brother of former National Cabinet Minister Doug Graham. No Tory, the junior Graham was recently described (Press 10.6.06) by his older brother as "a bit pinkish. He is certainly very environmentalist. he did his Phd on nuclear free zones". 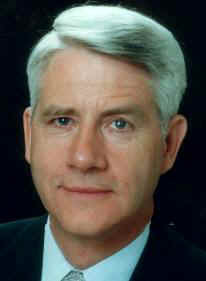 Kennedy Graham joined the Green Party in 2005 "because this is the philosophy and the message that is relevant to the 21st century"
Dr. Graham holds a B. Com (Auckland), MA in International Relations (Fletcher School of Law & Diplomacy, Boston), and a Ph.D. (Victoria University, Wellington). He has received Fulbright and Fletcher scholarships, a McCarthy Fellowship (1986), and was Quartercentenary Fellow at Emmanuel College, University of Cambridge, England (1995). Dr. Graham served in the NZ foreign service for 16 years, specializing in global security and the UN, his last diplomatic assignment being counsellor in the NZ Mission to the United Nations in Geneva. He has lived and worked in nine countries in Asia, the Pacific, Europe, the Middle East and the Americas. From 1999 to 2004 he worked for the United Nations University, first as Director of its Leadership Academy (Amman, Jordan; 1999-2002); then as director of its Regional Security & Global Governance Project (Bruges, Belgium; 2002-4). In 2004 he was commissioned to provide a paper for the UN Secretary-General’s High-Level Paper on Threats, Challenges and Change. In July 2005 he was Senior Consultant to the UN’s Dept. of Political Affairs in New York, assisting in the preparation and convening of the 6th High-Level Meeting between the UN and Regional Organizations. Dr Graham is visiting professor at the College of Europe in Bruges, Belgium. He has also been commissioned to prepare a feasibility study for the establishment of the Ana Lindh Chair in Conflict Prevention and Crisis Management, to be located in Europe. From 1989 to 1995 Graham was also Secretary-General of Parliamentarians for Global Action, a New York-based worldwide network of legislators committed to transnational cooperation on global problems. According to Wikipedia Parliamentarians for Global Action is an organization of more than 1,300 legislators from more than 114 countries. It was established circa 1978 as Parliamentarians for World Order. The group has world federalist leanings and promoted ratification of the International Criminal Court treaty. PGA is one of the many leftist NGO's that hang around the UN promoting globalism, peace, international cooperation, banquets, business class travel and huge expense accounts. It will be interesting to see how some of the Green's anti globalisation zealots take to this urbane global bureaucrat. If you don't have anything worthwhile to say, get out of cyberspace you tree hugger. The left has always had a love hate relationship with globalisation. Generally globalisation in which large powers (state or corporate) enforce their will in a negative way (according to liberal humanistic philosophy) is opposed. On the other hand the global spread of ideas, aid and just big feel good conferences have been prominent in the left. The Greens are against economic globalisation, but all for the expansion of global socialist government. Blueprint for the New "New World Order"
How Will the Greens Handle This One?